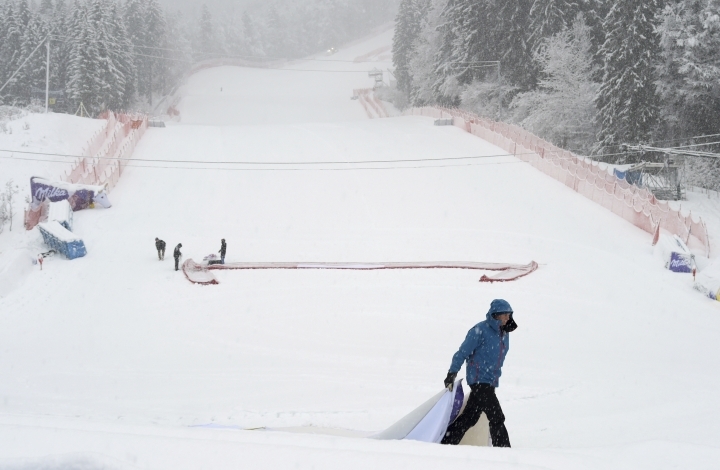 GARMISCH-PARTENKIRCHEN, Germany — The last World Cup race before the world championships was canceled Sunday due to heavy snowfall. Organizers called off a men's giant slalom, a day after they also had to cancel a downhill for the same reason. Course workers started at 4 a.m. but failed to clear up to 30 centimeters of fresh snow from the Kandahar course because it kept snowing during the morning hours. FIS race director Markus Waldner said the efforts had to be stopped as "we started to damage the race line with the machines, with so much movement on the track." 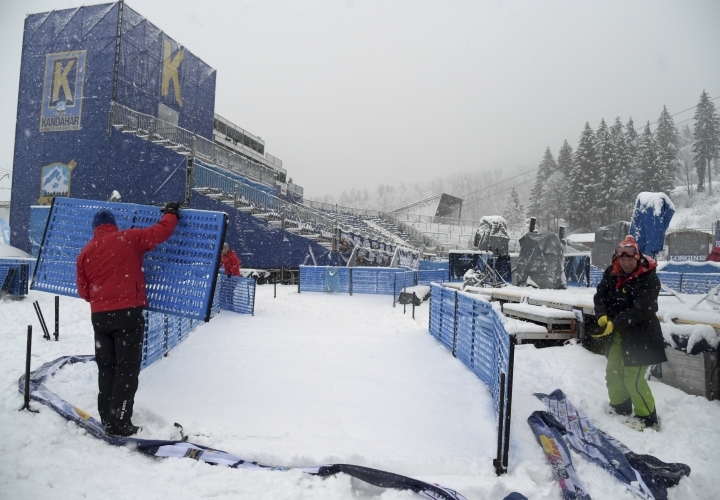 Skiing's governing body was looking to reschedule both races at another resort after the Feb. 5-17 world championships. According to Waldner, the downhill could possibly be added to the program in Kvitfjell, Norway, on March 1, while the GS might be rescheduled for Kranjska Gora, Slovenia, on March 8. The worlds in Are, Sweden, start Tuesday with the women's super-G. The first men's race is the super-G on Wednesday.